Two of the main IoT standards groups have merged, probably bringing consumers closer the day when your lights, your refrigerator, and the power company can all talk to each other. On Monday, the Open Connectivity Foundation and the AllSeen Alliance announced they would merge under the OCF name. The two groups include companies such as Intel, Microsoft, Qualcomm, Samsung, Cisco Systems, GE Digital, and Haier -- possibly a critical mass of IoT component and product makers. 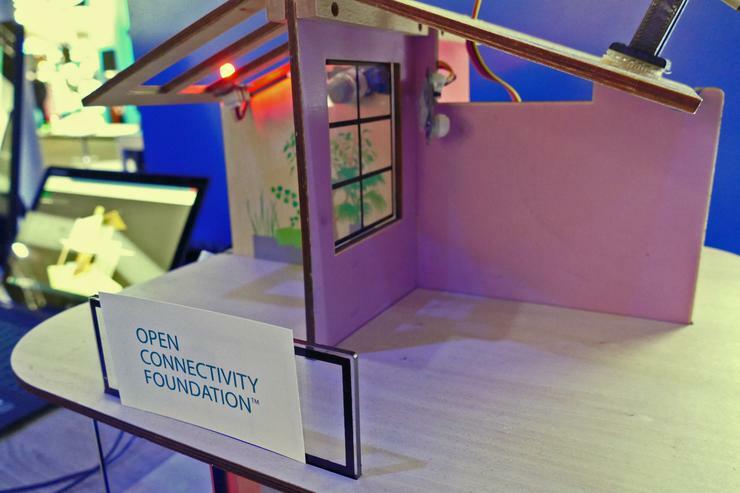 OCF's scope even extends beyond home IoT into some industrial technologies. The internet of things depends on objects talking to each other, so standardization is important to making IoT easier to use and driving down prices through large-scale manufacturing. But efforts at interoperability started out by going in different directions. The fiercest rivalry was between the AllSeen Alliance, backed by Qualcomm and Microsoft, and the Open Interoperability Consortium (OIC), founded by Intel, Samsung, and others. Each had its own way for devices to discover and learn about each other. Now that the two groups are merging, there’s a greater chance that any given IoT product will be able to talk to others without using a hub or relying on cloud-based software. The merger won’t close down the open-source projects started by the two groups, AllJoyn for the AllSeen Alliance and IoTivity for OIC. Those will continue, both of them under The Linux Foundation. But the projects will collaborate to support future versions of the OCF specification with a single IoTivity implementation, the groups said in a press release. Current AllJoyn and IoTivity products will be interoperable and backward compatible, they said. The two groups were on a path to common ground as soon as the OCF was formed in February. The new organization incorporated all members of OIC as well as some other companies, including key members of AllSeen. Microsoft said at the time all Windows devices would natively interoperate with the OCF standard. Analysts predicted a couple of years ago that the fragmented world of IoT standards would come together in time. But consolidation hasn’t yet reached the point where consumers can buy any device and feel confident it will work with all their other connected gear. Other mergers and partnerships are also helping to create order in IoT. The Thread Group has made deals with the ZigBee Alliance and other groups to make their application platforms run on its networking stack. Pairings between companies like Cisco and IBM may make it easier for enterprises to build IoT platforms.